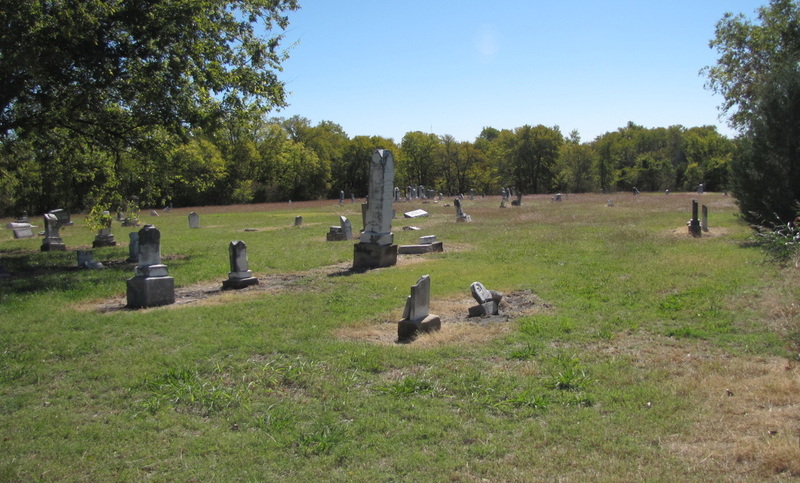 This is a large cemetery covering about 5 acres. The approach to the cemetery has recently been graveled, and the cemetery has recently been rough mowed. There are well over 100 graves in the cemetery. It was noted that a number of stones have been damaged, possibly through vandalism. This cemetery is somewhat remote, although there is a house across the street. The cemetery is fenced, but there is no gate. 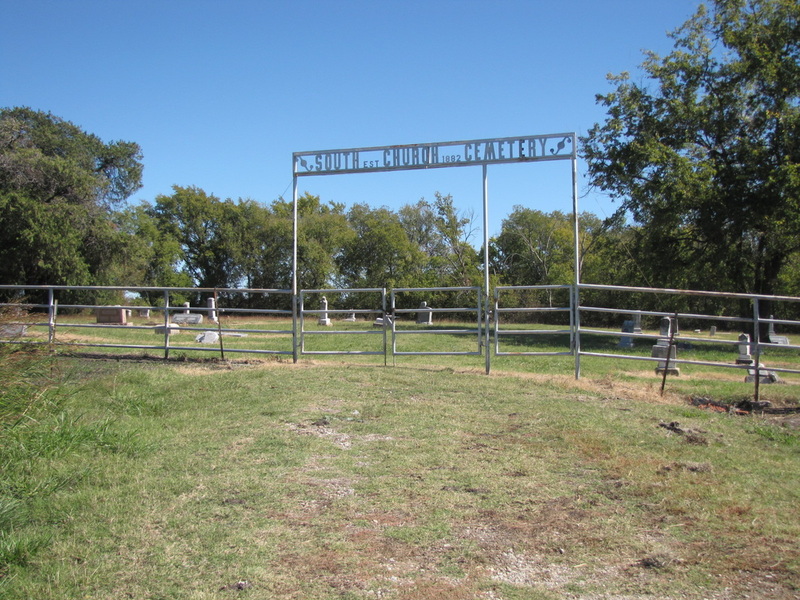 There is a large sign that says: "South Church Cemetery" with "Pleasant Hill" in parentheses and "est 1882." At one time Mt. Pleasant Baptist Church was just north of FM 6 at SH 78. When it closed, part of the congregation went to North Church near Copeville and part to South Church, which was located here. There was also a school. The cemetery was on the east side of, and behind, the church with the Tabernacle southeast. The Tabernacle was used when it was too hot to use the church. The church was organized in 1882 and was disbanded in 1947. First Baptist Church of Lavon was built with the lumber from the Pleasant Hill and Spring Hill Churches. There are a number of deeds for the cemetery including those listed in Vol 24, p 293, for 4 acres; Vol 84, p 164, for 9/100 acres and additional land given by Roland Gooch. ground was connected with Mt. to be an active burial site.